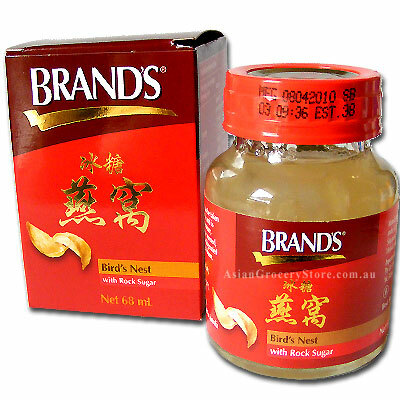 Minimum quantity for "Brand's Bird's Nest with Rock Sugar (6x68ml)" is 1. BRAND'S® Bird's Nest with Rock Sugar is formulated with meticulously cleaned premium bird's nest and pure rock sugar. It follows a traditional formula and is brewed using advanced technology in hygienic processing conditions. 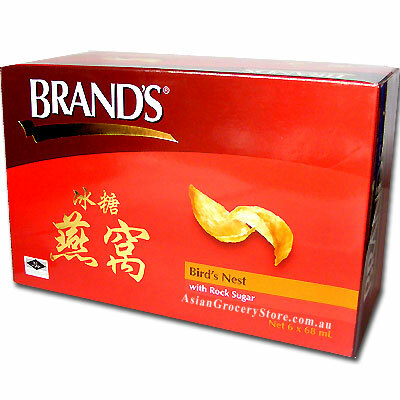 BRAND'S® Bird's Nest with Rock Sugar is airtight sealed to maintain its fresh taste. It contains no preservatives or colouring. This product may be consumed straight from the bottle at room temperature, chilled or warm according to one's preference. Keep in cool dry place and avoid direct sunlight for best quality. Consume immediately upon opening.